In learning UI/UX design, I assign myself exercises in which I redesign digital device interactions. 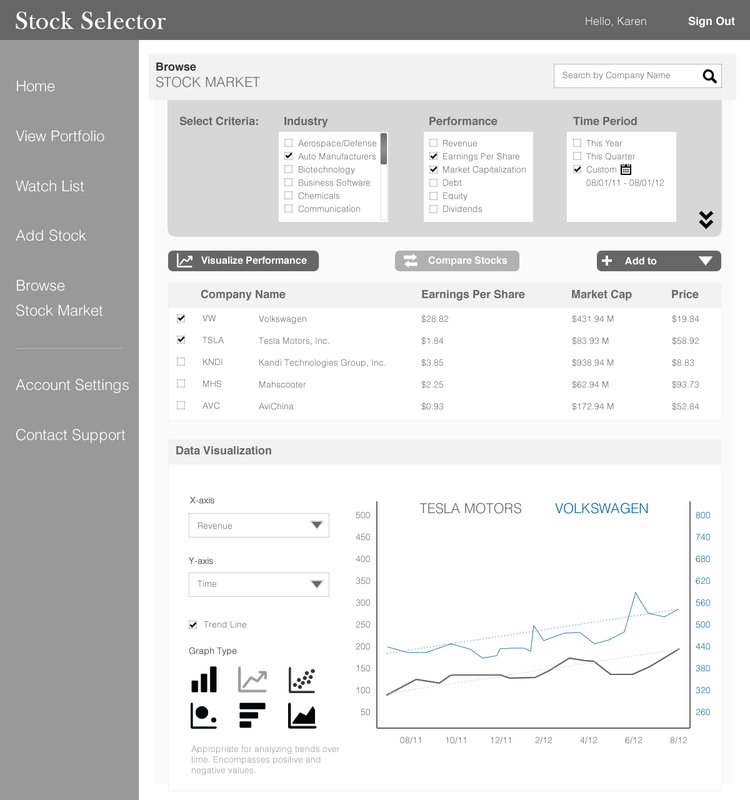 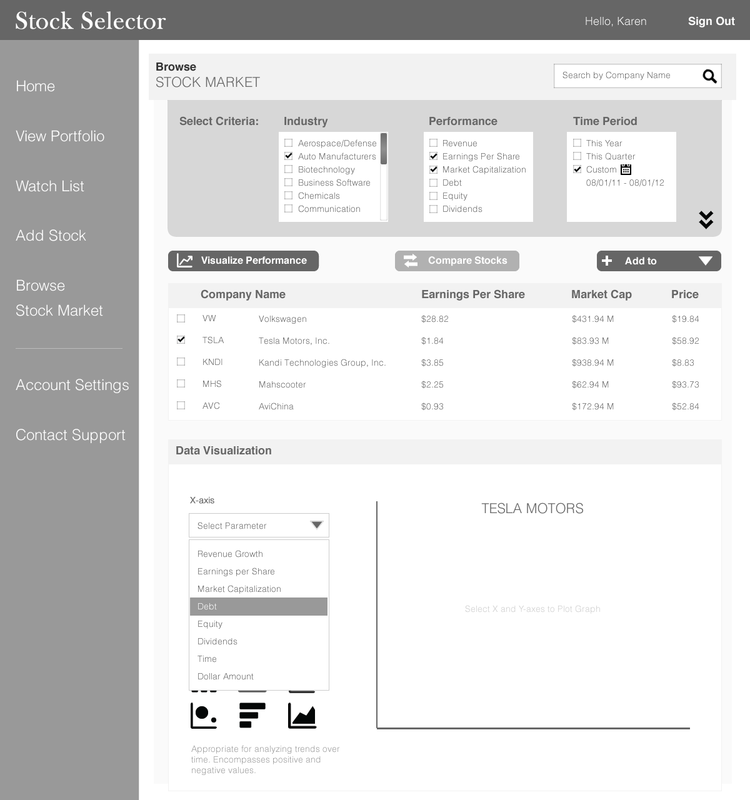 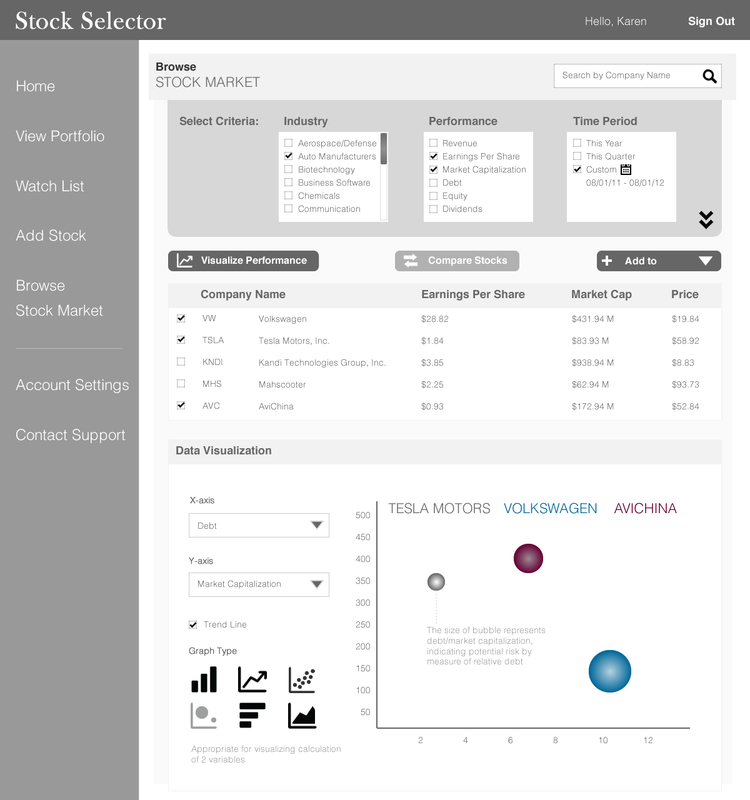 The following wireframes represent a stock selection software to help investment managers decide which stocks to buy and sell. I specifically designed for fundamentals-focused investors, who are more interested in the fundamental financial characteristics of a company, rather than the minute-to-minute price movements. 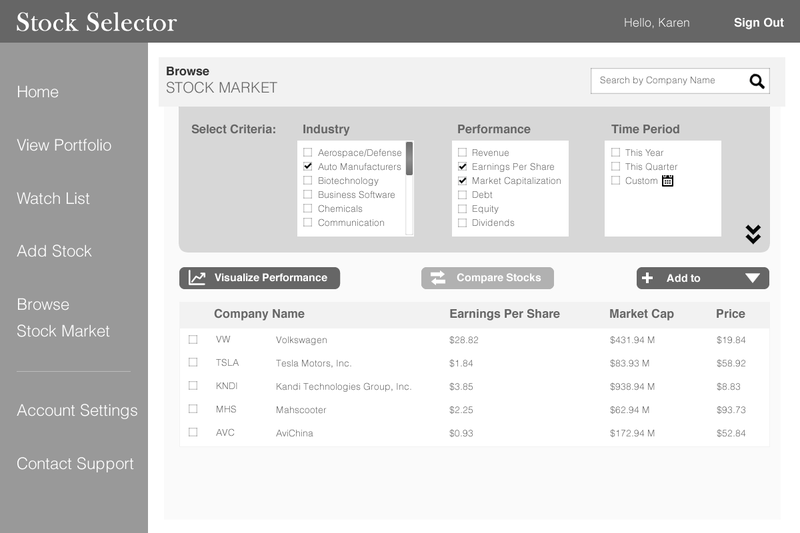 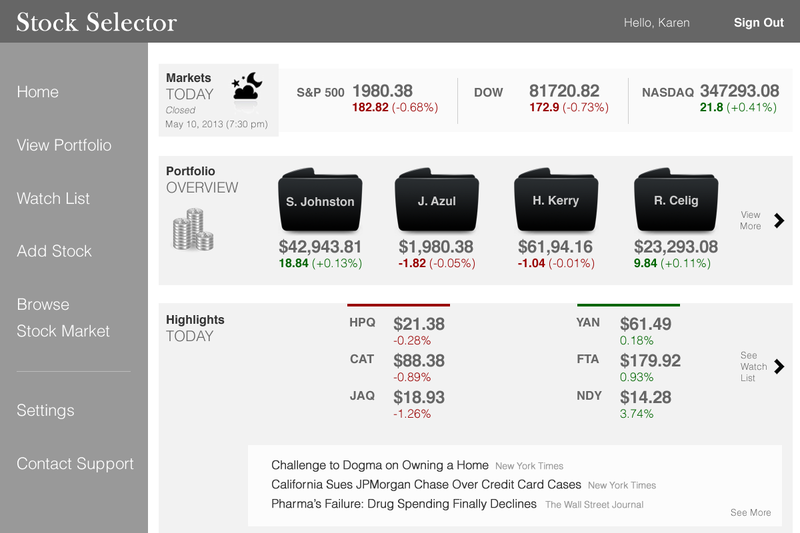 The software enables the user to visualize different financial dimensions and compare multiple companies simultaneously.